Tura, Meghalaya: It was way back in 1977 when a Garo tribal man in his 30s entered the Parliament for the first time as a young Congress MP from Tura Lok Sabha constituency in Meghalaya. On his parliamentary debut, the young Congress leader caught everyone’s attention with his firebrand speeches, nuanced debates, and simple smile, all of which helped him make friends across party lines. He made it to the Lok Sabha eight more times and died as an MP, leaving behind a political legacy that is second to none. This man was Purno Agitok Sangma (known popularly as PA Sangma), whose name still reverberates in the Garo Hills as the region gets ready to vote. The voters in Meghalaya, however, have to make a difficult decision: it time to let go of their beloved leader’s legacy and opt for change? In the first phase of polling, all eyes will be on the Tura parliamentary constituency, which will see a straight fight between PA Sangma’s family and his onetime blue-eyed boy and former chief minister from Congress Mukul Sangma (53). 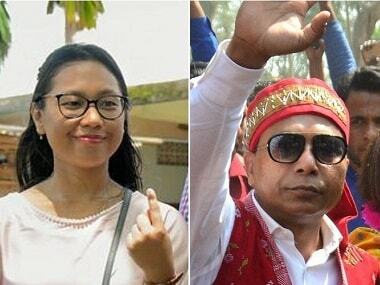 PA Sangma’s daughter and former Union minister Agatha Sangma (38) is the candidate for National Peoples’ Party (NPP), which is now led by her brother and Meghalaya chief minister Conrad Sangma. Agatha had been a former MP from Tura as well. “We are aware of our legacy; it’s a huge responsibility. Now, the focus is on development. In the last one year, the NPP-led government has done tremendous work, and that gives us a boost. People will vote for us due to our good work,” she said. From 1977 till date, the Tura Lok Sabha seat has remained with PA Sangma’s family, barring the 1989-1991 period, when he didn’t contest. After his death, Conrad became an MP from Tura in a bypoll; he later vacated the seat after becoming the Chief Minister of Meghalaya. “Going by the statistics and PA Sangma’s popularity, one would say it’s a one-sided battle in Agatha’s favour. But I think, this time, we have a contest in our hands, as Mukul is a strong candidate. It’s a good move by the Congress to field him. As chief minister, he had almost made Tura the second capital, after Shillong. There is, however, criticism that he did more for his home town Ampati and not the entire Garo Hills. Nonetheless, this election will be a close fight,” noted Ratnadip Choudhury, a journalist from the North East. For Garo Hills’ youth, joblessness and migration for work go hand in hand. “I went out of Garo hills to study, and now, I don’t have job opportunities back home. PA Sangma is a big name, but he is not a leader of our generation. We are looking up to Conrad. Mukul as CM was very popular among youngsters, but he failed to create jobs. Hence, we hope Conrad will succeed in that. 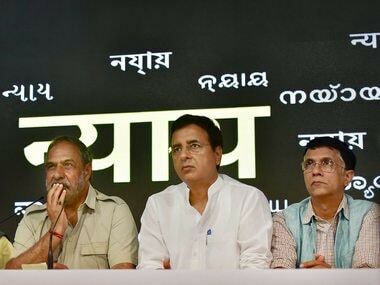 For me, this election is between Conrad Sangma and Mukul Sangma,” said Fedrick Marak, who works at the front office of a three-star hotel in Guwahati. 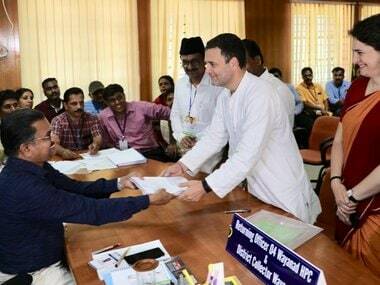 Of the 40 Assembly seats in Meghalaya, the Garo Hills, a Congress stronghold, includes 24 seats. However, the PA Sangma appeal extends beyond (and may supersede) party affiliation. “It’s all in Purno da’s name. For years, we have voted in Lok Sabha elections in his name. We voted for his children because we believed it was akin to voting for him. Even if his youngest daughter Christie contests, we will vote for her, such is his legacy,” explained Sanjoy Ghosh, who runs a small-time business in Tura’s main market. A non-tribal paan vendor from Bihar, who doesn't wish to be named, has been living in Tura for over 25 years and even got his voter ID transferred to Meghalaya. For him, the agenda is development, not family legacy. “PA Sangma is the tallest leader in this region. He was the leader of the tribals and non-tribals. He was the leader of Meghalaya, the entire Northeast, and the nation. 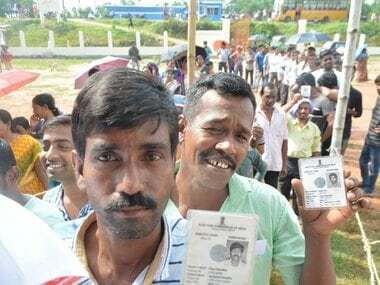 So, whenever NPP will ask for votes in his name, people of Tura and Garo Hills are likely to oblige owing to the emotional connect they have with the leader. But frankly, we cannot overlook the development Tura and parts of Garo Hills saw under Mukul Sangma’s tenure as chief minister. We saw business boom; so it will be a difficult choice, particularly for me, because I am not very happy with the present state government,” he said. Mukul's rise in Meghalaya politics, too, was meteoric. Despite not being from a political family, he caught PA Sangma’s attention; the latter helped him in his early days in the Congress. From 1993 onwards, Mukul never lost in the state legislative Assembly and was Meghalaya chief minister between 2010 and 2018. Mounting criticism against him for “creating a political dynasty” — his wife, younger brother, and daughter are MLAs as well — among other issues finally brought a taste of defeat, and Conrad succeeded him in the 2018 Assembly polls in Meghalaya. In this clash of titans, Conrad, who led the campaign for his sister Agatha, took his chopper to remote corners of Garo Hills to urge voters to vote for them. In the run-up to the polls, Conrad has emerged as the new face of regional politics in North East at the height of the anti-Citizenship Amendment Bill protests in the region. His popularity has skyrocketed so much that his party is also contesting polls in other parts of the North East. Tura goes to vote on 11 April, and it will be known soon enough whether or not Conrad is seen as a leader who can step into his father’s shoes.